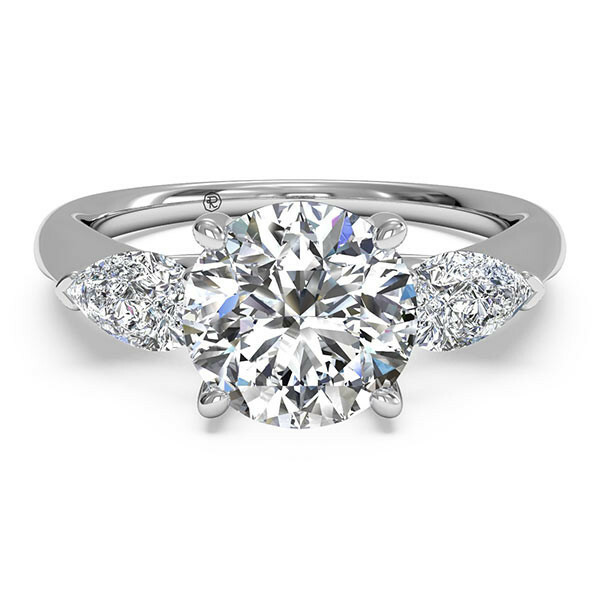 This three-stone engagement mounting from Ritani will make a lasting impression! Crafted in 14kt white gold, your round brilliant center stone will share a high-polish, tapered band with two pear-shaped side stones. The piece is also available in 18kt white, yellow or rose gold, as well as platinum precious metal. This engagement mounting from Ritani presents a terrific trio to represent the love of a very special duo.